– Check operation of remote control, front seats, foot brake and parking brake (also operating travel), engine, clutch, steering, transmission, ParkAssist, automatic speed control, PSM switch, PASM switch, Sport switch, heater, air-conditioning system and instruments. – Visual inspection for leaks of Oils and other fluids. 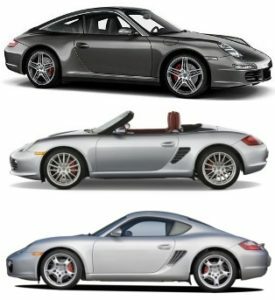 This entry was posted in 987 (2004 - 2012), 987c (2005 – 2013), 997 (2004 - 2012), Porsche Maintenance Plans. Bookmark the permalink.